We carry the Glytone line of products. Kim in Dr. Green’ s office will assess your needs and advise on the product that you need. Light peels are also offered in the office to freshen up your skin together with the skin care regimen. We are not a spa. 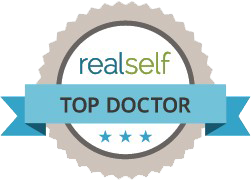 Dr. Green’s expertise is in plastic surgery and our emphasis is on surgical procedures. We can refer you to an aesthetician if needed.